To the Curb - That's amore! That's amore! 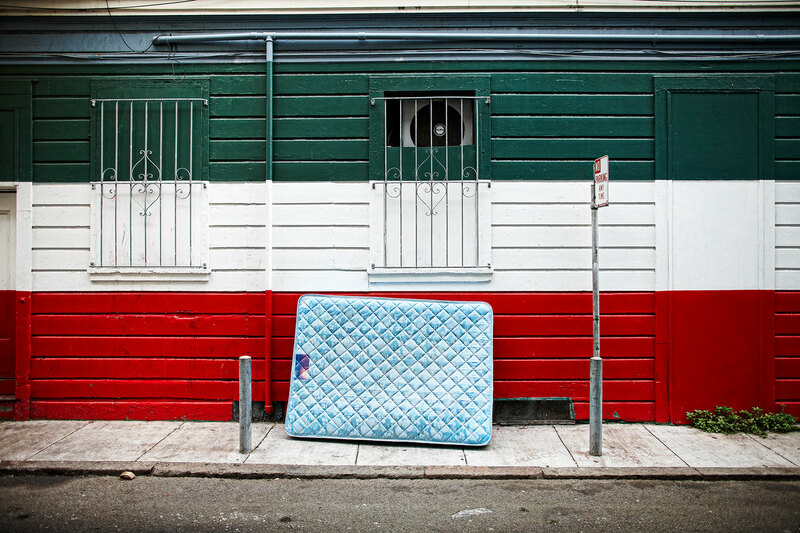 An abandoned mattress leans on the rear wall of a restaurant in San Francisco's Italian North Beach neighborhood. This image is from my "To the Curb" series, which honors and immortalizes the hardworking household items that we cast out unceremoniously onto the street.